Everybody knows somebody. I know you know that, but did you realize how much untapped power that is? Many of you are sitting at home looking over your bills, and scratching your head wondering how you are going to pay them. You probably know someone that is going to do a remodeling job, painting, or getting a new hardwood floor installed and you have no idea what that bit of information is worth. 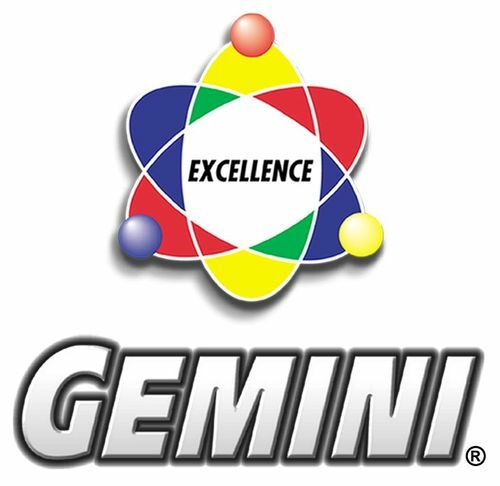 The home improvement industry is a multi billion dollar industry and most of the business is done by word of mouth. 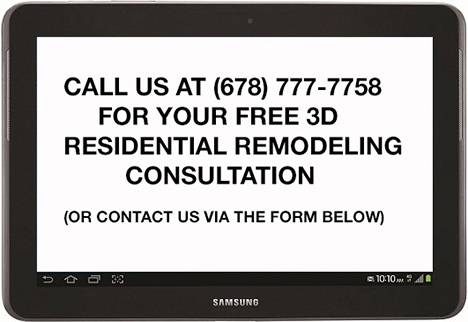 There is no greater complement to a contractor than that his own customers refer new clients to him. Think of all the large companies that comb the web to get people to tell them about their home improvement projects, and then sell the leads for a fortune. Guess what? Those leads are worth money and you could probably get a nice referral fee for telling your favorite contractor about it. People helping other people is what this country is all about. Advertising is expensive and highly overrated. In advertising there are no guarantees for any successful turnout, and it is like throwing spaghetti against a wall and hoping it sticks. Referrals on the other hand are almost always a sure way of getting new business. Keep your eyes and ears open and you will be surprised at the opportunities you have been missing for years. Do you have those ugly discoloration rings in the tops of your expensive dining room tables, end tables and kitchen cabinets? They most likely have a lacquer finish which is very poor at resisting water damage. Kitchen cabinet, and the furniture industry knows that they can save almost 50% of their labor costs by applying a lacquer coat finish, vs. a polyurethane finish. Lacquer finish can be completed in one day and poly finish in three days. Lacquer dries very quickly, sands easily, and makes a real smooth finish. After spraying and sanding 3 coats of lacquer on a cabinet door you would think it would have 3 layers of protection against dirt and water on it. Truth is that each layer of lacquer melts into the previous layer and all three layers become one thick layer. No matter how many layers of lacquer is sprayed on a piece of furniture, it only counts for one coat. You cannot protect your cabinets, and kitchen, and bathroom cabinets in this way. My recommendation is to take your damaged and stained furniture and sand it back to the wood. Apply stain or paint to the entire area and allow it to dry for 24 hours. Take polyurethane and apply a coat over the stained or painted surface, and allow to dry for 24 hours. Sand with very fine sand paper to removed raised wood grain, and other imperfections. Remove all dust and debris, and apply second coat of polyurethane. Allow another 24 hours to dry, and repeat with sanding and cleaning area for final third coat. Each coat of polyurethane is a separate layer of protection for your furniture. Yes, you now have a water proof coating and you need not worry if there is a coaster under a glass anymore. If a child spills their drink on your furniture, it wont be an emergency because the polyurethane is protecting it for you. I have used this method in my home, and the expensive furniture I want to keep, and it works fabulously. If you have bathroom or kitchen cabinets that are splitting and cracking, there is a good chance you can refinish them and save them. First remove all the lacquer by sanding. Now you can apply a good oil primer, and apply several poly coats. Polyurethane is oil based, so it repels water. Remember the secret that oil and water do not mix. How do I remodel a bathroom on a limited budget? How can we save money on materials while transforming the look of our existing bathroom? Is it possible to incorporate existing features into the design for further savings? Let’s tear out the carpet and get started! What kind of flooring are we going to use? Travertine is a natural river bottom stone, caused by the alluvial fans at the base of rivers, after many years of being compressed by earth and water. The natural earth tone colors ranging from creme to a deep chocolate noche color make it an ideal backdrop for an upscale bathroom or kitchen. 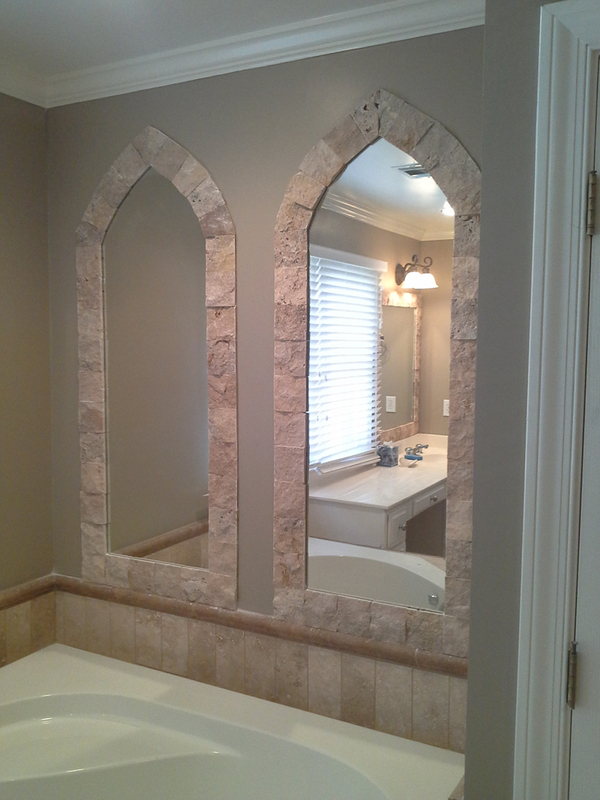 Travertine means luxury, and represents quality to a prospective buyer. Travertine need not be expensive, and 90% of all customers do not recognize the difference between a high quality tile or an inexpensive one. 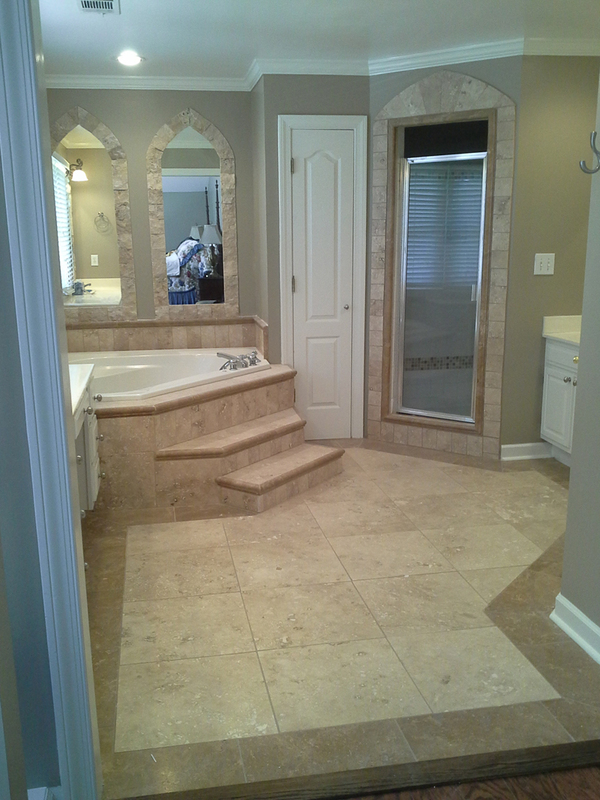 Highest quality travertine has no holes that need to be filled like the less expensive choices. 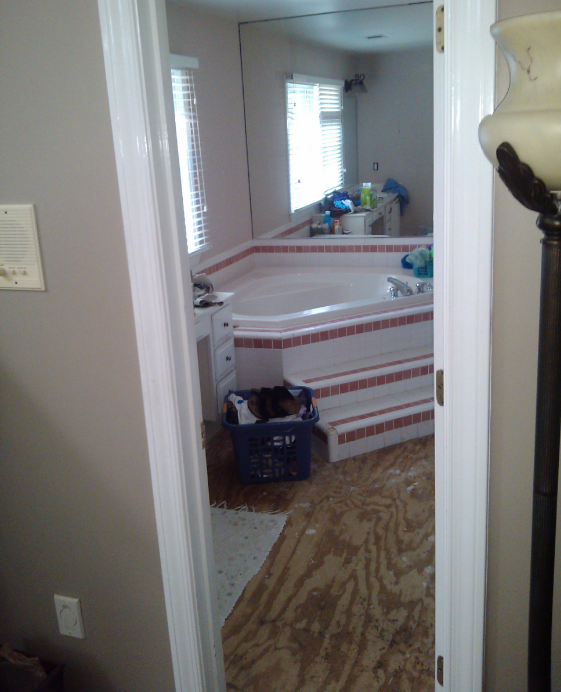 Notice the full mirror above the tub. By sticking a maple veneer over the glass mirror, and cutting out some interesting shapes, allowed the mirrors to be framed with the cracked travertine squares. 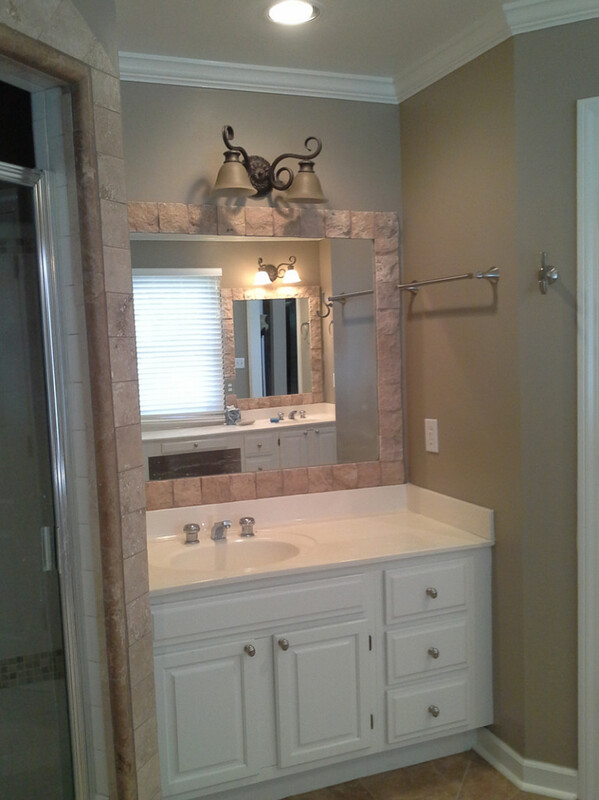 The mirrors complement the bathroom and match nicely with the shower door. From a generic bathroom look, we are made something special and unique. In addition we saved the customer hundreds of dollars. It is amazing what can be created with a little bit of imagination and artisitic flair. Yes we have ideas. If you’re in the northern Atlanta area, including Sandy Springs, Alpharetta, and Marietta, Ringelberg Construction would be pleased to assist you with your next bathroom remodel.